Today, we would like to share with you the very special experiences of Mamta Singh, Human Resources Specialist at the famous UN Women in the USA. You will be able to read about her background, experience and expectations in terms of recruitment at UN Women. 1. Tell us more about UN Women’s work? What difference do you make as an organisation? 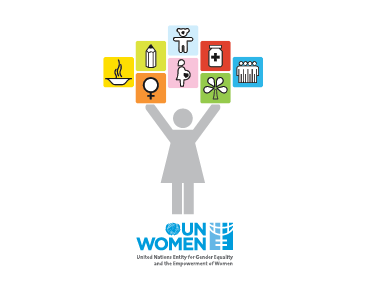 UN Women was created by the United Nations General Assembly in 2010 to accelerate progress on gender equality and the empowerment of women. Over the last three years, it has achieved results for women and girls everywhere by supporting efforts to end violence against them, bringing them to the center of peacebuilding, advancing their political participation and leadership and increasing their economic empowerment. UN Women, grounded in the vision of equality enshrined in the Charter of the United Nations, works for the elimination of discrimination against women and girls; the empowerment of women; and the achievement of equality between women and men as partners and beneficiaries of development, human rights, humanitarian action and peace and security. 2. What is your background? How did you come to UN Women? Since 2008, I have worked as a Human Resources Specialist at UN Women headquarters, principally in the field of staffing, recruitment and outreach initiatives. Prior to UN Women, I spent ten years working for various international organisations such as IOM and the German Development Agency (GIZ), as well as for UNICEF and DFID-sponsored projects in South East Asia. I studied in Nepal and in the US and I bring considerable international experience gathered in Afghanistan, Pakistan, Indonesia as well as in my home country, Nepal. I started my work as Secretary to the Team Leader for Health Project in Nepal. Gradually, I progressed in my career. 3. What kinds of people are you looking for? 4. What is the most inspiring thing you have heard about UN Women’s work? All the work is inspiring, such as Leaderships and Political Participation, Economic Empowerment, Peace and Security. UN Women programs cover 50% of the population. Personally, I admire the work around Violence against Women.